everything LEB: Joss & Main- a shopping spree for you! Joss & Main- a shopping spree for you! I'm super excited about this giveaway today! Joss & Main, the hottest home decor online retailer is offering one of my readers a $150 online shopping spree- woohooo! Joss & Main hold exclusive, members-only events that feature a ton of premium home decor brands at discounts of 25-70% off retail. New sales launch daily at 11am and are up for 72 hours. I have to have them! What to know how to enter? 1.) Sign up for Joss & Main through this link - btw, it's free! 2.) Come back and let me know what your favorite find is. 3.) BONUS- if you want to blog or tweet about this giveaway, come back to let me know and enter again! The winner will be announced June 13th! Be sure to enter by the 13th, I mean who wouldn't love a $150 shopping spree?? Great giveaway! That ceramic lamp is calling my name! I love the eastern dahlia pillow in kelp and I would love to win this give away! I am loving all the bright fun colors in pillows, lamps, etc. So fun for summer! I love the Crystal Vera Chandelier!! I am a member, I love that site! Thank you for the great giveaway! Two matching Lemoyne Table Lamps would look great in my living room! I am loving the cookware. We are in desperate need of some new pots and pans! Awesome giveaway! I've been eying the Pantone Honeysuckle accents since I got the e-mail yesterday. I think my faves are the Ava table lamp and the Alchemia transparent fuchsia chair. Fingers crossed! The sealight floor lamp is amazing by cachet decor!!! I can't get enough of their coffee table book sales -- so many great books to choose from; I might also splurge on new sheeting! I love the sea light floor lamp by cachet decor. Awesome! I love Joss and Main! I love their art and mirrors. My favorite is the Aluminum Large Side Table by Cachet Decor! I am a member of Joss & Main! I am crushhing on a silver bowl right now! I tweeted about the contest too! How exciting! This is the first giveaway I've ever entered. I'm super in love with the Piquette Table Lamp! I'm 2 months away from being married so I'm slowly collecting items for my future home and this one would be a beautiful addition! I can't choose right! This is an amazing giveaway! I'm already a member of Joss & Main and I am loving the Honeysuckle accents right now. Love Joss & Main...the antonio aguilar pillows sure would look good in my house! And i can always use more picture frames. Great giveaway! Pick me! I'm loving the Antonio Aguilar Eastern Dahlia pillow in orange. i love the matilija poppy pillows. so cute. Looooove the first pink lamp! Love it so much that I actually just bought it! It will be perfect in my little girl's nursery. I love the Sealight Floor lamp. It would look so great in our master! I love the ava table lamp and the pillows! The Swarthmore table lamp, definitely. It's so cheeky! I'm already a Joss & Main member, and I love those Antonio Aguilar pillows. So fun! I tweeted and mentioned you and Joss & Main! I love the Bellini barstools. So.very.much. I have been a member for a bit now. I love the 5.5 Quart Covered Dutch Oven with Stainless Steel Lid from Circulon. I so need those colorful pillows! I'm already a registered user on there site! LOve Joss and Main! I just bought the cutest little white ceramic elephant bookends! I've tweeted about your giveaway! Awesome giveaway! Loving the Sealight Floor Lamp. Already a member and loving the pillows and lighting. Thanks for the giveaway. I adore Joss & Main, and there are several pillows calling out to me!! Come and join my amazing $250 Giveaway from Tracy Porter! I am a member and I would love to have the Alchemia Chair in Transparent Fuchsia to add to my office! This is a great giveaway! I'm already a member of Joss and Main. I love the lamps, but I'd love to get some art for our basement. I'm already a member, but that Alchemia chair is amazing! I signed up :) I like the Ozwayo Mirrored Accent Lamp. I am already a member and drool over the linens and pillows they often carry. I'm already a member! Would love to win! Would love one of the baking sheets from Paderno! 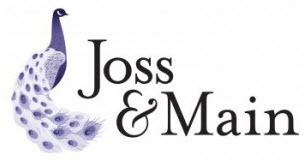 I'm already a member of Joss & Main - it's a great site! Love the Twin Pro "S" 3 Piece Chef's Knife Set from Henckels. Also, I'm leaving an "anonymous" comment because for some reason I'm having problems leaving a comment when signed in through Reader. I do follow though! I need a new area rug for my living room and Joss & Main had some beautiful ones the other day that I had my eye on! I am already a member and currently loving the lamps - especially the moldena table lamp. Thanks for the giveaway! JUST signed up, love love love it! The Dimon Lighting Wellsville Table Lamp absolutey needs a spot in my living room....so chic! Just registered, and I'm loving that giant Todd Oldham Charley Harper book. I love anything from the smithsonian collection. I love those acrylic nesting tables! And such a good deal. I am already a member. 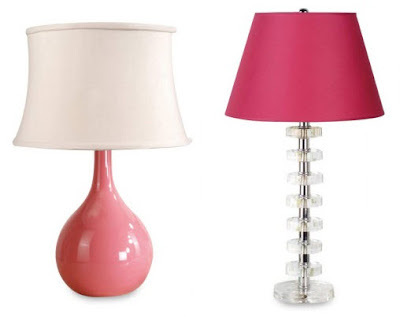 I could use a pair of their ceramic lamps for baby girl's big girl room. Thanks! just signed up through your link! soo, i know i should be shopping for henckles knives, but can't seem to stop clicking through all those cute home decor accessories!! The pages of the Charlie Harper illustration book would Be an awesome addition to an art wall in my daughters playroom! I'll take an adirondack chair in every color please! I am LOVING Braxton Studios Honeycomb and Oketo chairs! So modern and fun! I NEED a bright red adirondack chair! Love joss and main! I LOVE Joss and Main!! Today I am seriously loving the Othello 3 Piece Acrylic Nesting Table Set in Clear!! Oh!! I want the Lucite stacking table!!! Great giveaway—I didn't know about this site yet. Thanks! LOVE the Shine Company! Need a bright chair for my front porch!! Oh lala, the Vintage Tray in Antique Oat is a stand out, but it would fit right in in my dining room. Cheers! All the pillows. My sofa needs you. Anything from Calypso Home would be fun, but I am especially digging the room divider lamp! I am already a member and have scored many wonderful items from Joss and Main. Recently I ordered some very cute graphic prints for my guest room. I'm already a J&M member! I love the Calypso Home line currently for sale ... that Vintage Tray in Antique Oat is my absolute favorite! I'd put it in our dining room and grace the top with our finest drinkware and liquors. I'm already a J&M member, and I love the Josey Miller gingko pillow. Very graphic. Thanks for the giveaway! I'm already a member! And anything from the Calypso line would be a great addition!!! I Love everything they have, especially their lamps such as the Sydney Table Lamp. Thanks for the chance to win! I'm already a member and I'm loving the Calypso Emilia Console in Blue!! So pretty! count me in, pretty, pretty PLEASE!!! I love those Bob Macke rugs! I love the Moderne Bob Mackie rug! Thanks for hosting such a great giveaway! Waechtersbach has pretty, simple pieces and I NEED new dinnerware! 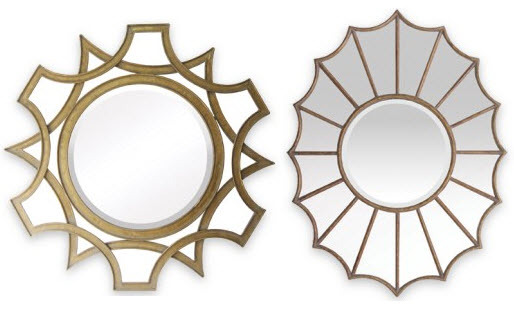 I love the mirrors from Joss & Main. I could find a spot in every room for the most delightful mirrors ever. In the current sales, I love the Moderne rug in ivory, gold, and tan. Loving the Bob Mackie rugs! Could use several of those in my house! Loving the ikat chairs-- Button Armless Chair in Marakesh Graphite. Never heard of Joss & Main, thanks for the great find! Great site. Didn't know about it before. I will be checking it daily for great deals! I love the outdoor glasses, especially the green and blue ones! Thank you for sharing this site. Very fun. I like the Impulse Pisa DOF and Highball glasses. 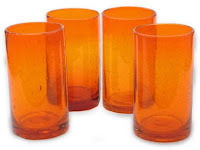 Plastic glasses that are not ugly! Yay! great giveaway, I am hoping the Trina Turk Home collection makes another appearance...I am in love with her throw pillows. I would so love to have the mirage salad set... or the slick cube occasional table. Or really any of it.